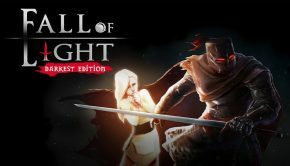 Summary: Old school adventuring has grown up! If you’ve been around gaming long enough then you remember with a lot of fondness the old adventure games. You can go as far back as pure text adventures or you can go to what was arguably the heyday with Sierra and then Lucasarts. 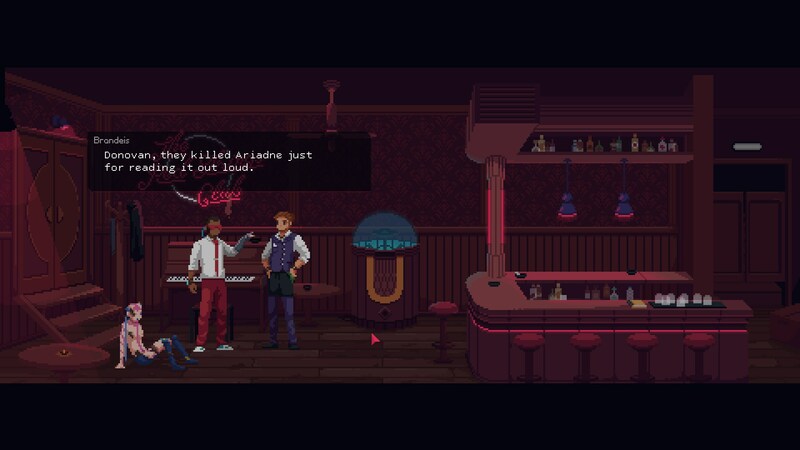 The Red Strings Club harks back to those games visually with it’s pixel-art style… but much as us gamers have grown up… the subject matter has too. 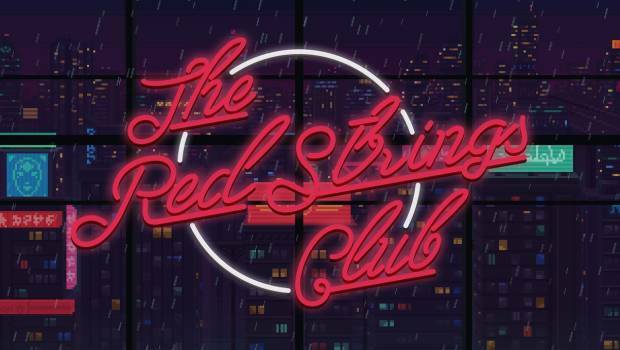 While those formerly mentioned game companies would frequently scatter more mature content throughout via little jokes and such, The Red Strings Club is fully immersed in mature themes and it’s a great way to experience that nostalgia in the modern age. 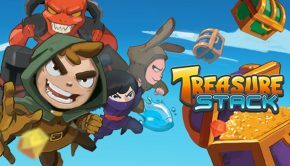 The game revolves around a small group of people who are trying to take down a corporation that is on the verge of a new release that will impact the lives of everyone. The intro alone should be enough to draw you in… how many games start with one of the main characters falling, presumably, to their death? Clearly there is a lot at stake here. As with many interesting narratives, we then rewind time a bit to some time before things got to that dire moment. A bar, a rebel, androids and alcohol and a whole lot of moral questioning. 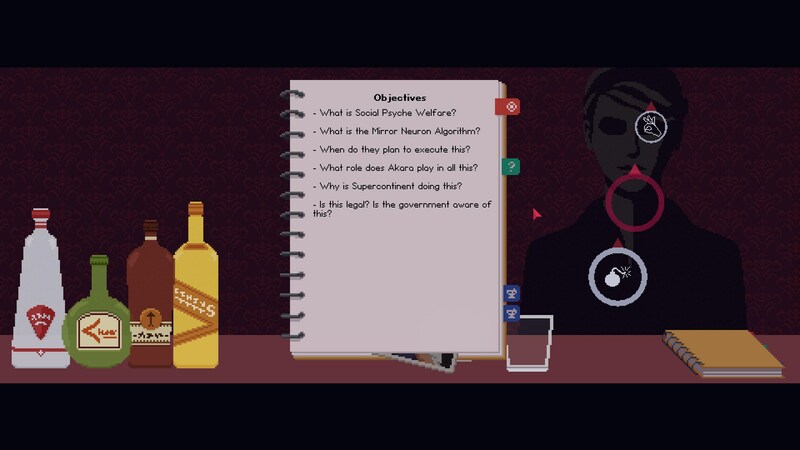 There are the familiar game mechanics of past adventure games, the whole point and click at the conversation options you want but there is a lot more depth than that. 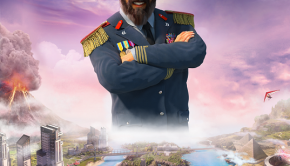 What originally seem like just simple conversation options soon become far more relevant and capable of a large impact when you realize that they have an influence over the way the game plays out. Talking to people can be tricky but fortunately you have alcohol to ply them with. 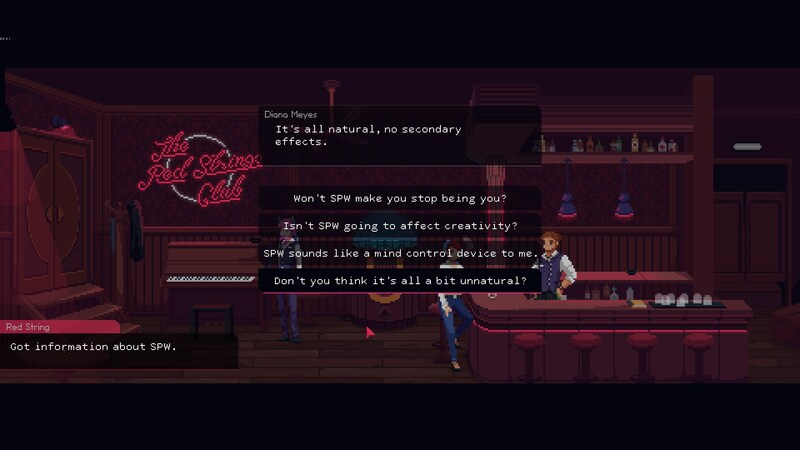 In one of the many mini games, you will find yourself tending bar with a clever little challenge in which you are presented with the customers moods. Your job is to mix a drink that will stimulate the right mood to get the information you want out of your subject, perhaps you need to play to their ego or maybe you want them to be a bit more introspective. Your choice of what drink to mix will impact the information you can get from them, if any. Early on you also have your chance to at least half re-enact the famous scene from Ghost, as you find yourself engaged in “pottery”, using a range of tools to form the material into the right implant to enhance your clients. Again this seems simple or trivial until later when you find out just how much of an impact your choices of who got what has on the world around you. All of these little “mini games” are a nice break from the conversations and add enough variety to keep the player engaged more directly. Conversations also manage this when they are put into the form of quizzes that can even reward you for good answers. All of these little elements come together to form one very impressive whole. It’s very impressive to think of how such a small development team can put together something so ambitious and to do so, so well. 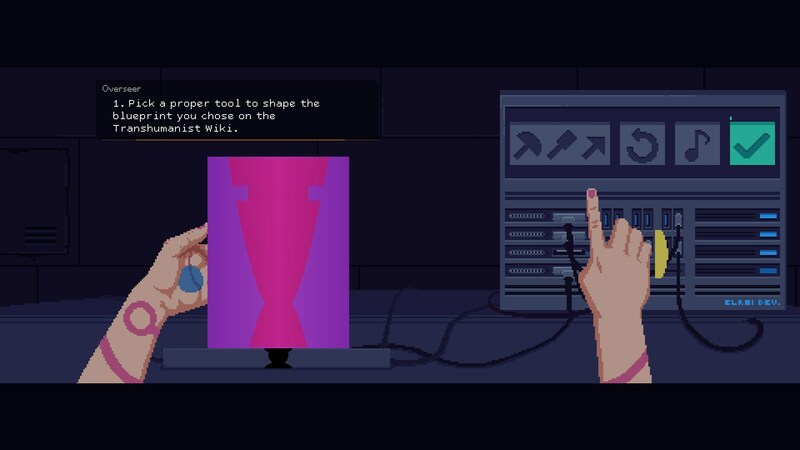 It’s not too often that you get games that can seem cute and playful at first glance yet dive you head first into philosophical ideals when you spend a bit of time with them. As a philosophy major I’m a bit of a sucker for this sort of stuff but even for someone who’s never gone near a philosophy class the concepts put before you should still make you stop and think for a moment (if not on the first play through then certainly the second). 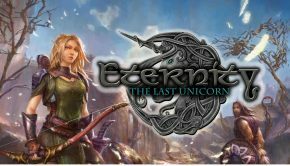 From begining to end the game should only take a few hours… but that’s one play through and there are enough choices that have a pretty significant impact to make it worth playing through again to see just what changes. What if I’d said X instead of Y may well occur to you just after taking one path and unfortunately there isn’t really a save option, it will remember where you got up to (effectively narrative checkpoints) but you can’t have multiple “saves” so you can’t try and option then reload and try another… well you sort of can (if you exit and come back before the next save point) but it’s short enough that a subsequent playthrough is not a daunting thought. There’s a little comment at the end of the credits and I just want to put the otherside of that here… Thank you! 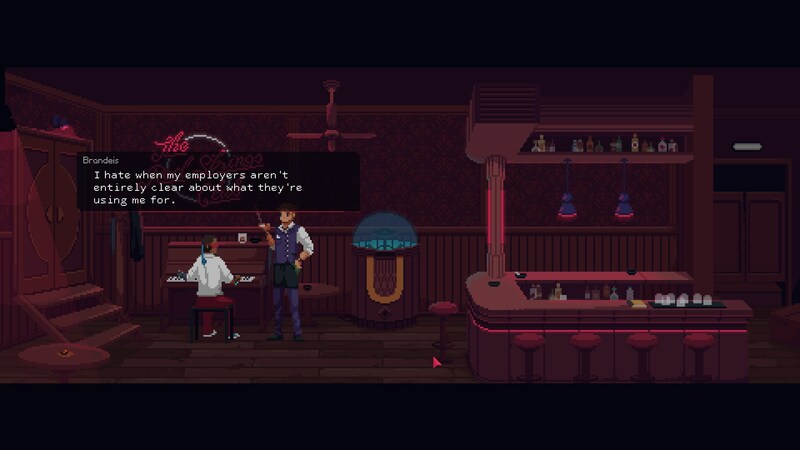 Thank you to Deconstructeam, you’ve managed to both capture that charm of my early gaming and at the same time infused it with the wonderful grown up and deep concepts of my adulthood. Kudos to you all and again, thank you!